To celebrate this lovely day, I have a special guest post from author Liesel K. Hill to share with you! This post is part of the Persistence of Vision Blog Tour-- you can see the rest of the stops here! Happy Valentine’s Day, Everyone! Since today is official pink heart day, I thought it would be appropriate to talk about the elements of romance in my story. When I conceived the idea, I knew it would be based largely around a romance that the main character couldn’t remember. I knew this would cause awkwardness and angst (the best kind of story) but it could also be very romantic. Besides, what woman hasn’t fantasized about a ridiculously hot guy, with superpowers, who just happens to be in love with her? Do you ever notice how romance tends to be at the center of nearly every story? Of course there are exceptions, but romance is one of the central drives of the human condition. Love of family, freedom, and religion are the only things most people are willing to both die and kill for. The best books and movies have at least some romance, and many of the most popular ones are only about it. Actually executing the romance in my book was tricky, though. If someone you didn’t remember meeting just started spouting things he already knew about you, it would be overwhelming and creepy (even if he was hot) and Marcus understands that, so he keeps his distance, letting Maggie come to him. Meanwhile, I had to make the romance prevalent enough to be compelling. Because of that, it’s very slow-moving at first, but picks up near the end. Did I base it on my own romantic fantasies? Maybe a little, but I also tried to find the perfect balance for the characters and the world they come from. Only my readers can determine whether they like the romance or not. Happy Valentine’s Day, Everyone! May your romance not be unrequited or angst-filled, and may you get the happy ending that dystopian characters have to fight tooth-and-nail for, and so often still don’t find. XOXO. A big thank-you to Liesel for writing this awesome guest post! 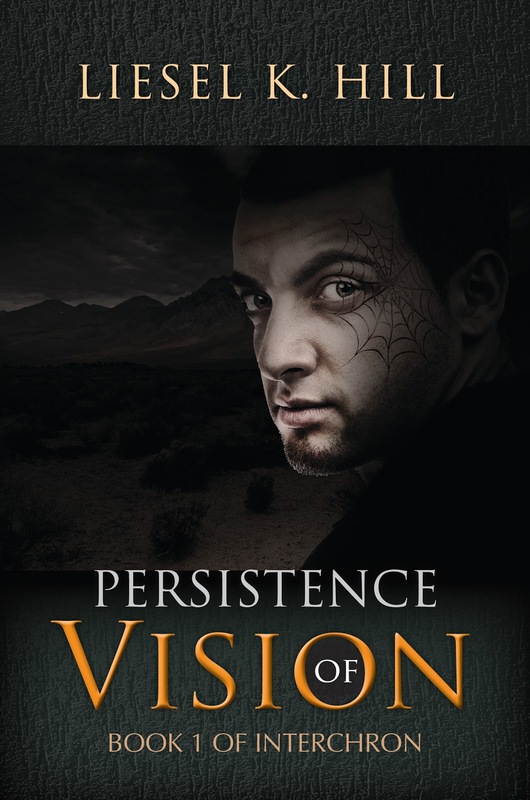 Have you read Persistence of Vision? What's your favourite romance novel to read on Valentine's Day?! Be sure to let me know in the comments below! Keep Reading!